Scores throng Bhaktapur to observe historic Bisket jatra - Integration Through Media ....! 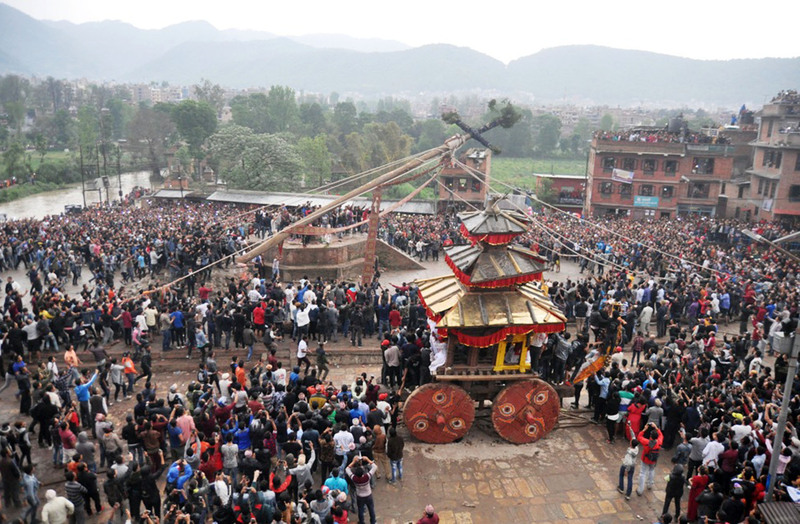 BHAKTAPUR : A large number of people thronged Bhaktapur today to observe the historic Bisket Jatra (a cultural festival) which is organised each year on the occasion of the Nepali New Year. The festival based on the tantric rituals began today. Prior to this, a lingo (wooden pole) was erected at Bhelukhel yesterday, the last day of the month of Chaita in the lunar calendar and the ceremony drew many people from Bhaktapur and neighbouring districts Kathmandu, Lalitpur and Kavrepalanchowk as well.